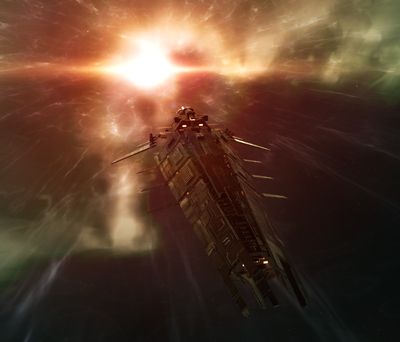 Battlecruisers are among the most versatile ship classes in Eve, and one of my personal favourites. Much like their real life counterparts, the battlecruiser is essentially a beefed up cruiser with substantially improved firepower and resilience, while remaining below the level of a battleship. In exchange for these advantages, battlecruisers are quite a bit slower than t1 cruisers and have significantly larger signature radii making them easier to hit (although bear in mind they still use medium weapons, and so are just as capable of tracking their targets as a cruiser is). How can you not love this ship? The battlecruiser makes a useful comparison to the HAC (which incidentally is why I decided to mix up the order and cover them next). Both classes compete for the core damage dealing role in the majority of (non-battleship) PVP fleets, and despite the large difference in price the decision between the two is not clear cut. As we discussed previously, the advantage of HACs lies in their speed and range - that is, their ability to control fights and fight where their opponent cannot respond effectively. Battlecruisers are far more simple in this regard; almost across the board, they both out-tank and out-dps HACs (which is one of the main reasons that the primarily tank-and-gank HACs like the deimos and sacrilege suffer in popularity). In a close range brawl between a battlecruiser and the equivalent HAC, the battlecruiser will almost always come out on top. For the most part though, the HAC pilot will have the maneuverability to ensure that said close range brawl does not take place (whether they succeed and whether they are able to do more to their opponent than simply disengage is of course another matter). One important characteristic of the battlecruiser line is that it is quite clearly split into tier 1 battlecruisers (the cyclone, brutix, ferox and prophecy) which were the initial tranche released, and the more recent tier 2 battlecruisers (the hurricane, myrmidon, drake and harbinger). The latter are typically stronger offensively than their counterparts, as well as having more flexible fitting and an additional 2 mid or low slots - because of this tier 2 battlecruisers are far more popular under almost all circumstances, and tier 1 battlecruisers tend to be quite underused. They're still very capable ships however, and most have niche roles where they are still preferable to their tier 2 counterpart. If you're an experienced mission runner, it's likely you're already familiar with the drake. This ship is so ubiqutous as a mission boat that it still has a reputation among many groups as a purely PVE vessel - an opinion which couldn't be further from the truth. With an 8/6/4 slot layout and a 5% per level bonus to shield resists, the drake is tough. To put this in perspective, a drake using only 3 of its 6 mid slots for tank already has as much EHP as a dual 1600mm plated maller. While an armour tanked drake is possible (and potentially incredibly effective due to the number of EWAR slots it provides), the vast majority are fit with a fairly standard shield buffer tank, and that's what we'll focus on here. PVE drakes tend to be fit slightly differently, and we'll cover that later. The drake is a missile boat through and through. It is the only battlecruiser to use them as a primary weapon system, and With 7 damage bonused launchers, it does so very proficiently! Most PVP drakes and almost all PVE drakes fit heavy missiles as their weapon system of choice - as with most long range missile fits this offers slightly lower maximum dps output than some of the other ships in its class, however its damage is both consistent and very flexible - able to hit out to over 80km with just as much firepower as it wields up close (roughly equivalent to the damage output of a close-range rupture, for comparison). HAM drakes offer rather more offensive power - more in line with the other battlecruisers - although their maximum range it limited to around 20km (or 30km with javelins). Drakes also receive 25m3 of drone bay and bandwidth - enough for a flight of light drones, and a blessing considering up until this point most caldari ships have been rather lacking when it comes to drone capability. Engaging a drake can be a challenging fight, although aside from the previously mentioned armour/EWAR fit you're unlikely to encounter any huge surprises. In terms of EWAR, most PVP drakes will fit a point and potentially a web (more likely on a HAM drake), although in gang you may find them fitting tracks or damps. A small neut is fairly likely, but a medium tends to be prohibitively difficult to fit. The drake's drone bay allows it some additional defence against light ships, but most combat frigs can deal with a flight of un-bonused light drones before they succumb to them. ECM drones are a possibility, and it's usually worth clearing them out quickly if they get launched (don't worry, they're very fragile). The biggest threat to your success (as odd as it sounds) is the drake's tank - while its damage output isn't all that impressive, its strong tank means that in terms of combined tank & gank, it will wear down most opponents long before they can break it. Even if the drake can't kill you itself, the likelihood of backup arriving before the fight is done is fairly high, not to mention the fact that drakes are one of the most common baiting ships in the game. One interesting phenomenon of strong shield tanks like the drake's is that even with a pure buffer tank, the peak shield recharge can be strong enough to make a difference in some fights. At peak recharge, your average buffer drake has a passive tank of around 150 dps - enough to make killing one in a solo frigate a real challenge. PVE drakes will actually fit specifically to maximise this recharge at the expense of EHP, and can easily have a peak regen of 500 dps or more against every damage type. These can be really difficult to kill solo in a light ship, despite being relatively little threat to you in return. Remember that the peak recharge of a shield tank is just that - it's peak recharge, experienced when the shield has around 30% remaining. If there was ever a good time to overheat those guns, the moment the drake you're shooting hits 40% shield is the time to do it. The drake has fairly high resists across the boat, but given the choice thermal and EM should be your preferences in that order (either an EM rig or an EM hardener is fairly common on a buffer drake, but any thermal resist mod is relatively rare). It should go without saying, but drakes also generally make a very poor choice of primary targets unless there is nothing else viable in range. Finally, a word of warning. Drakes are really popular for baiting. If a drake engages you in a scenario that seems a little too good to be true, it's almost always a trap. Of course that doesn't mean you can't just spring the trap and kill it anyway, but be prepared for backup to come swooping in and don't say I didn't warn you! Versatility is the watchword of the minmatar, and few ships embody that as well as the hurricane. The hurricane's 8/4/6 slot layout allows it to mount a stiff armour tank, however you'll also notice that this is very similar to the layout on the vagabond (the cane has one more low slot), making a kiting fit with a moderate shield tank equally viable. This is backed up by perhaps the cane's greatest asset - it's speed. I like to jokingly refer to the hurricane as the best t1 cruiser in the game, and when it comes to speed this isn't far wrong - the base speed of the cane is already higher than that of some of the slower cruisers, and with a nano or two a shield cane can easily keep pace with most cruiser gangs. Offensively, the hurricane is very strong. It only has 6 turrets - one less than most other ships in its class, however as with the rupture this is compensated by a double damage bonus bringing its on-paper damage output roughly in its peers while providing a second utility high slot. Most of the time, this means a pair of medium neuts, which fit handily on most setups. The cane also has plenty of missile hardpoints, however these tend not to be used as ofen either due to the difficulty of fitting or simply due to the utility offered by medium neuts. Finally, the cane gets the same 30m3 drone bay as the rupture - enough for a flight of lights plus one spare, or 4 lights and one medium. As with the drake, these could be either damage drones or ECM. Right now, the shield cane is the more popular of the two common fits. While the armour cane is a very capable ship, it's not the only brawler available. The nano cane on the other hand offers something that's hard to find elsewhere - a really effective, relatively tough kiter that's available on a budget. In terms of fit, most shield canes will mount a two slot shield tank (2 LSEs or LSE and invuln) along with MWD and point, with low slots used to buff damage output, range, and speed. Most nanocanes opt for 425mm autocannons and medium neuts, giving a falloff with barrage of around 30km - not too shabby, although bear in mind damage output is greatly diminished at this range. Some shield canes forego the neuts and switch their autocannons for artillery - while this makes them more vulnerable up close, if both increases their range (falloff remains roughly the same, but optimal is boosted by about an extra 20km with close range ammo, or up to 70k with tremor) as well as giving them a fairly fearsome alpha strike. Armour canes tend to be a little more conventional, with a 1600mm plate and a few hardeners backed up by additional mid slot EWAR (there's no standard setup for the mid slots, but a point, web and tracking disruptor is probably the most common choice). This offers a substantially stronger tank than the shield variant, however increased grid consumption means the guns are usually downgraded to 220s or dual 180s - not necessarily a bad thing considering they have better tracking and the armour cane typically engages at close range. While the ship's damage output is generally lower than its shield tanked cousin, it's still substantial - the main difference is reduced falloff range (down to around 15km) since it's no longer using any of its low slots for tracking enhancers. Occasionally you'll encounter an armour cane with an active tank, however without a tanking bonus it shouldn't be too difficult to overcome that rep with a comparable ship. In terms of difficulty as an opponent, the armor cane is probably the more challenging to fight - it's much tougher, and its mid slot ewar (in particular webs and tracks) can make your life quite difficult depending on what you're flying. It's also likely to be much more liberal with its neuts, since it will be engaging both in range and without running its MWD heavily. You can reduce its damage output to an extent by holding range - if the cane is using close range ammo its damage will begin to drop off when you get close to 10km. The plate shows this ship down noticeably, so if you're able to hold outside web range you may find you're able to avoid the majority of its damage. Lighter ships are obviously better off close-in, however with two medium neuts most frigs are likely to have their work cut out for them simply to stay alive. As with most t1 armour tanks, explosive or kinetic damage are your best choices (explosive hardeners aren't uncommon, but are far from guaranteed). The shield cane on the other hand is a very different beast - it's one of the few ships which engages effectively both as a kiter and a brawler. If you lack its range or its speed, the cane pilot is likely to make use of their generous falloff and hold you at range; this is especially true if you have backup, and nano canes are excellent for dragging out gangs and picking off stragglers. Unlike the shield rupture and vagabond however, the shield cane is not fragile - it's more than capable of weathering the damage of a comparable ship and coming out, and it's not uncommon for shield canes to charge in close against a target they're confident they can simply out-dps (such as a HAC for example). That said, shield canes are very unlikely to have a web, and once they're in close if you can web and/or scram them the chances are they aren't going anywhere unless they can neut out the ship(s) tackling them. This makes shield canes an easier target for gangs of lighter ships, providing you can actually catch them in the first place rather than simply be strung out and killed - no mean feat by any means. Due to their excellent range and larger calibre guns, you're generally better off getting close against a shield cane than trying to hold range (especially against an arty cane), however as with the armour cane you should be wary of those medium neuts and manage your cap carefully. An anti-EM rig is fairly standard on a shield cane, so thermal damage is usually your best bet followed by EM. Due to their strong damage output and moderate tank, hurricanes are typically a good primary target when engaging a battlecruiser gang, particular if you suspect they are shield tanked. At first glance, the harbinger is very similar to the hurricane - it shares an identical 8/4/6 slot layout, albeit with 7 turrets and a single damage bonus rather than 6 with a double bonus. The interesting thing however is that while the cane is more commonly shield tanked, the harbinger usually fits an armour tank. I suppose this isn't surprising given its amarr heritage, but I think it's also down to a few key differences: the harbinger is slower (not massively, but enough to make a difference), less cap stable (thanks to its choice of weapon system), and while it has excellent optimal range it lacks the flexibility of falloff. All of these make kiting that bit more challenging. The standard harbinger is fairly similar to the armour cane above - 1600mm plate, trimarks, plenty of gank and mid slot ewar. Pulse lasers are the weapon of choice, backed up by a single neut (the harby has no missile hardpoints, so it's usually either a neut or an empty slot) and 50m3 of drone bay and bandwidth - enough for either 2 flights of light drones, or one of medium. Where the harbinger really pulls ahead of the armour cane is on range - with scorch it gets an optimal range of around 20km - that's full damage at a range where the armour cane would already be into its second falloff (meaning less than half its maximum damage). And that damage output is good - roughly comparable to that of the cane. It's tank is fairly solid - slightly stronger than an armour cane due to higher base armour HP and a small racial bonus to explosive resist. In all, it's a tough ship. While less common than the armour variant, I still run into shield harbys fairly often. The setup is generally similar to the shield cane, although usually with more focus on damage rather than range mods, due to the smaller bonus given to optimal by tracking enhancers than to falloff. Typically you're looking at optimal ranges with scorch of 20-30km with about another 5km of falloff - enough to hit effectively anywhere inside point range with no problem (again, drawing a comparison to the shield cane remember that this is pure optimal where the cane would be in deep falloff, giving the shield harby a significant dps advantage at longer ranges). Tank is again similar to the cane, although you can expect it to be slightly softer thanks to lower base shield HP and slightly more restrictive fitting than the cane. The main difference as I mentioned is speed - the shield harby isn't slow, but you're looking at around 1200m/s compared to the cane's 1400m/s. It doesn't sound like much, but it's about the effect of an additional nanofiber for free, and combined with their slightly shorter overall range (the cane can afford to drift in and out of point range during a fight, whereas the harby has to stick rigidly inside its optimal in order to deal good damage), it makes the harby that much easier to catch. As with the cane, shield harbingers occasionally fit for range with beams rather than pulses, however this is generally much less common outside of gangs. Fighting the harby is much the same as fighting the relevant cane fit, aside from the additional drones and the lack of a second neut. The mid-slot modules may be different, with more incentive to mount a cap booster due to the cap-use of its weapons (although I'd say they still aren't too common outside of active tanks). Don't underestimate the harby because it doesn't have the reputation of the cane - it's every bit as dangerous. It does however have slightly worse tracking than the cane (especially if the harby is fitting heavy pulses), and providing you aren't webbed you may gain something by getting in as close as possible. Because of the single neut and reduced tracking, smaller ships will probably have an easier time against the harbinger than the cane, but it will still be a tough fight. Killing drones may or may not be worth it, depending on how much of a threat they are to you - remember that if the harby is using lights it will have a second flight, and if its using mediums they probably won't do all that much damage against a small ship. If the harby is carrying light drones, be prepared for the second flight to be ECM. Thermal and EM are the damage types of choice against a shield harbinger, while kinetic and explosive are preferable against an armour tank (the harby gets a small racial bonus to armour explosive resist, which while still slightly lower than kinetic at base stats, may or may not be buffed with a hardener). Due to their strong damage output and moderate tank, harbingers are typically a good primary target when engaging a battlecruiser gang, particular if you suspect they are shield tanked. The myrmidon is a slightly unusual ship, and I don't just mean that it's freaking vertical! It's primarily a drone boat, with the usual bonus to drone damage and hitpoints, however with only 75m3 of drone bandwidth (and 150m3 bay) its drone capability isn't actually any stronger than the vexor's and is significantly weaker than the ishtar's. Because of this myrmidons rarely rely on their drones alone, and tend to favour a slightly more combined arms approach than most other drone ships. This purpose is served by their 6 turret slots, although it's notable that the ship receives no bonus to any turret type - autocannons are probably the most common choice (due to fitting and no cap usage), while either medium or small blasters are also fairly frequent. The myrmidon is also the only tier 2 battlecruiser to receive an active tanking bonus - 7.5% per level to repair amount, the same as its tier 1 counterpart the brutix. With a 6/5/6 slot layout, the myrmidon is capable of mounting an effective armour buffer or shield buffer, however it's with an active armour tank that it really shines. Both dual rep (sometimes with a plate as backup) and triple rep setups are common, and the end result is really quite impressive - a triple rep myrm can tank about 1000 dps with heat - a feat that many battleships struggle to match. The base cap regen on the myrm is actually fairly poor, so most active fits include either one or two cap boosters to keep them running. While battlecruisers have fairly generous cargo bays, those cap charges aren't going to last forever! The myrm has no spare high slots, so unless they drop a gun for a neut (which they occasionally do) you're unlikely to have to deal with any offensive cap warfare. Myrms do have plenty of spare mids though, and webs, scrams, and tracks are all fairly common and should be expected (triple rep myrms are actually the least dangerous in this regard, since they will almost definitely be fitting dual cap boosters). In addition to this, the myrm's damage output is pretty versatile - even if you're able to evade its turrets, at least half of its dps is likely to come from drones, which can engage effectively at any range. Those drones are also hitpoint-buffed and the myrm will have plenty of spares, making removing the drones both difficult and relatively futile. Against an active tanked myrm, the simplest solution is to maximise the dps you or your gang are putting out. If you're able to out-dps an active tank, they will usually break quickly. If you're not able to do so, you may be able to wear the myrm down simply by forcing it to consume all of its cap boosters (use neuts if you have them, and try not to give the myrm any chance to regen cap). This is a difficult proposition solo however, as most active myrms will be able to kill an equivalent ship before their boosters run dry. When fighting a buffer tanked myrm, be prepared for additional EWAR but otherwise expect the fight to be fairly similar to an armour tanked cane or harby, albeit with less focus on evading turret damage and more on evading (or failing to evade) drones. The myrm's total damage output is generally somewhat less than the cane/harby, but it's enough - don't underestimate it. For PVE, some myrms are passive shield tanked in the same way as the drake mentioned above. While I don't think this kind of myrm fit is particularly common in combat environments (i.e. lowsec and nullsec), it's worth bearing in mind that you might encounter one. Aside from shield myrms, explosive or kinetic are your damage types of choice (as with the harby, explosive hardeners aren't uncommon but are not standard). The brutix is a slightly more 'standard' battlecruiser than its tier 2 counterpart - it's a turret ship with a 7/4/5 slot layout and 7 bonused turrets. It also has a fairly generous drone bandwidth of 50m3 (and the same in bay), much like the thorax. On paper at least, this gives the brutix the highest damage output of any battlecruiser - 'on paper' being the key phrase. As a blaster ship (and it's almost always fit with blasters, rarely rails), the brutix operates at very close range - up to around 10km with ions and null. Unlike the thorax or deimos, it's also not particularly fast - in fact it's one of the slower battlecruisers. These two traits combine to mean that while the brutix's on paper dps is excellent, it often struggles to apply that dps in full. Like the myrmidon, the brutix receives a 7.5% per level bonus to armour repair amount, making it ostensibly an active tanker. However, this seems to be used much less frequently than it is on its larger cousin. I attribute this difference to fewer mid slots (meaning less room for cap boosters) and fewer low slots (for tank mods), while also relying on cap-consuming weapons and generally having to run its MWD heavily to close range in the first place. While you do see active armour tanked brutixes, the majority seem to be either armour buffer or shield buffer - the latter is particularly popular since it allows the brutix to further increase its damage output and mitigates its low speed too, although the lack of a web on such fits generally makes them less effective for solo work given their short range. The brutix is fairly low on grid, so armour tankers will generally need to choose between higher calibre guns or a strong tank - if you see a brutix with a full rack of ions (or even more so, neutrons), they will probably be quite lightly tanked. In general, the brutix excels against larger targets and in smaller fights, where it can close range easily and remain there for a significant time dishing out its dps. Due to its short effective range, it tends to be much less suited to the type of 'run and gun' fights for which the hurricane and drake are so popular. Fighting a brutix is relatively simple since it only really has one mode of engagement - hold range if you're able - the brutix's damage output will begin to drop off after only a few km, and outside around 6 or 7km they will be forced to switch to null. Outside 10km (and thus also outside web range), you should be able to evade their turrets entirely. In an AB-fit frig you're probably better off getting as close as possible (you should expect at least one web on armour fits but none on shield fits, and a scram on all of them). The brutix has no spare high slots, and a neut is very unlikely. You will still have to contend with drones, however many brutix pilots carry 5 mediums (which fills their bay), and these do relatively little dps to frigates. Since the brutix's drones don't get an hp bonus, you should be able to destroy them fairly easily if you need to. Against an active tanked brutix, cap warfare will be your best friend. It can only fit one cap booster without losing its web (which most brutix pilots are loathe to do), and a dual rep brutix will not be cap stable with a single booster. Especially if you can get the brutix pilot to run their mwd to close range, you may find their repping power tails off (or against an inexperienced pilot, that they cap themselves out completely). Against both armour tank variants, explosive and kinetic damage are your best choices in that order (due to their relatively few low slots and desire to fit magstabs, an explosive hardener is quite rare). Against a shield tanked brutix, thermal and EM are preferable. In gang, brutixes typically make good primary targets if you expect they might be able to get into range of anything (they aren't necessarily any softer than other battlecruisers, but if they can get in range they are a fairly significant threat). If you're confident that the brutix won't be able to get into range of your gang, you may want to ignore them in favour of other targets. The ferox is a hybrid boat, the natural step up from the moa. In fact, it actually has exactly the same bonuses - 5% to shield resists, and 10% to turret optimal range. There are also clear parallels with the drake - both have the shield resist bonus, both are mid-slot heavy (with 7/5/4 on the ferox compared to the drake's 8/6/4) and they're even the same speed. With 6 turrets (without a damage bonus) and 25m3 of drone bay/bandwidth, the ferox is somewhat light on the dps front - with blasters it has similar on-paper dps to the harbinger (but as we know, looking purely at on-paper dps for blasters is deceptive). The ferox's optimal bonus does extend its effective blaster range a little over the brutix however, with damage out to around 13km with null being fairly reasonable. With rails, the ferox puts out even less damage, although its range is fairly reasonable - without any range mods you're looking at 20-30km with antimatter or 70-80 with spike, and a full sniper fit can push that out to about 130km. Of course, dps at these ranges is relatively low (especially compared to what the drake can offer, albeit with travel time), however it's more than the moa at least. While the ferox's damage output may not be brilliant, it does have areas in which it's particularly strong. First of all, with 5 mid slots it's capable of mounting a fairly robust tank not far off that of the drake. Second, it's much more flexible on fitting than its gallente counterpart, with ion blasters and 200mm rails (the medium calibre weapons in both case) being fairly easy to fit. Finally, the ferox is very commonly underestimated, making it surprisingly successful as a solo PVP vessel. Some solo feroxes opt for an active shield tank, although the rep capability of this is far less than on the myrm or brutix. For the most part, feroxes tend to be buffer tanked. When fighting a ferox, my first piece of advice is simply not to underestimate it - just because it isn't popular doesn't mean it isn't capable of killing you. If the ferox is blaster fit and you can fight outside of web range, do so (webs aren't that common on blaster feroxes due to their shield tank, I mention the range more for reference than anything else). If you're unable to do so or if the ferox is rail fit, the lack of a web means you should be able to reduce its dps by orbiting close (with the obvious addendum that you should try not to sacrifice your own tracking ability it order to do so). The ferox does have a spare high slot and a neut is possible, though it isn't guaranteed (a missile launcher is also possible, as is an empty slot if the ferox is focused on tank and big guns). If you engage a ferox which is sniping or kiting with rails, you should follow the same advice mentioned in previous articles regarding snipers and kiters. That said, I don't see either especially often. As with the drake, thermal and EM are your damage types of choice (an EM hardener is rarer on the ferox than the drake, although a rig is still common). Due to its fairly low damage and relatively strong tank, feroxes are usually poor primary targets unless they're snipe fit. The cyclone is unusual for a tier 1 battlecruiser in that relatively little separates it from its tier 2 cousin - the brutix and ferox are split from their counterparts by weapon system, while the prophecy and harbinger are differentiated by being tank and gank respectively. The cyclone and hurricane however, don't have all that much that splits them apart - both are turret (and most commonly autocannon) ships, and both are commonly shield tanked (probably not the intention when the hurricane was designed, but it's the way things have turned out). Where there is a difference (such as with the ship's turret layouts), it usually favours the hurricane. There's really just one thing that the cyclone does far better than the hurricane - I mention this not to demean the ship, but because when someone chooses to fly a cyclone they very often do it because of this attribute. That thing is active shield tanking. With 5 mids and a 7.5% per level bonus to shield boost amount, the cyclone can mount a strong active tank. We're not talking myrmidon levels here (more like the brutix), however as a shield tanker it can do this without compromising its speed or damage output. While it can't tank enough to be significant against an opposing gang (excepting small frig gangs and the like), it's strong enough to turn the tide in a 1v1 engagement (in fact active tanked cyclones often beat their big brother the hurricane in such a scenario). The cyclone can also mount a fairly beefy shield buffer, which is an equally viable option, although this is less common on account of the hurricane's effectiveness in that role. Offensively, the cyclone suffers from a partially split weapon system. It only gets 5 turret hardpoints and a single damage bonus, while the remainder of its dps is provided by up to three launchers, and 40m3 of drone bay/bandwidth. Combined these actually offer roughly similar dps to the hurricane, however getting maximum effectiveness out of all three weapon systems together is both player skill and character skill intensive. Additionally, the cyclone (assuming it fits launchers to provide comparable dps) lacks both the free high slots of the hurricane and it's additional low slots for tracking enhancers and speed mods. If this writeup has given you the impression that the cyclone is a poor ship, I should probably clarify that it isn't - it's very capable especially when your character skills are well developed. It's main problem is existing in the shadow of such a popular ship as the hurricane, and it's difficult to talk about the cyclone without drawing comparisons. As with underdog of course, there's always the advantage of being constantly underestimated by your opponent - a valuable trait for solo PVP. Fighting a cyclone can be tough - most will try to kite, taking advantage of their long falloff range and also reducing they amount of dps they are forced to tank. The cyclone has a similar base speed to the hurricane, although with fewer low slots it tends to be slightly slower than a shield cane in practice. While many cyclones will fill their spare high slots with launchers, neuts are still fairly common and should be expected. The biggest disadvantage of the (active tanked) cyclone is probably its lack of mid slots - it has just enough to make it work, but it still feels the pinch; cyclones will very rarely fit webs or any additional ewar other than a point or scram, leaving them with three slots - one for a cap booster, and two for a shield booster and a hardener. The result is a tank which while fairly strong, but can break quite easily under cap pressure leaving relatively little EHP behind. Especially if the cyclone is running a neut, cap warfare, a drawn out fight, or simply bad piloting can quite easily break it. You're usually best fighting close and maximising your own dps, since mitigating the damage it receives (and thus taking pressure off their active tank) is exactly what they cyclone pilot wants. Since active tanks more often use shield boost or cap rigs rather than resist rigs, EM is generally the best damage type to use against the cyclone, with thermal second. Not to be outdone by the drake when it comes to tanky battlecruisers, the amarr finish the lineup with the prophecy. With a 7/3/6 slot layout, a 5% per level bonus to armour resists, and plenty of powergrid, the prophecy can fit a tank stronger than some battleships. Most prophecies will mount a 1600mm plate and trimarks at a minimum, and are capable of fitting a second plate for maximum tank if necessary (although they will probably need to drop to small guns in order to do so). Of course, the prophecy has a reputation for tank (and thus bait) almost as much as the drake does. While the tanked drake is still versatile offensively, the prophecy doesn't really have that luxury. Its second bonus it to cap use for lasers, however to conserve powergrid for extra tank many prophecy pilots opt for autocannons instead (much like with the maller). The side effect of this is to reduce the prephecy's effective range, and not being a fast ship (although surprisingly it actually has a higher base speed than both the gallente and caldari battlecruisers) this also reduces the ship's real damage output. Most AC prophecies will put out reasonable damage to 15-20km, while a pulse prophecy will put out its full damage to the same range. Either way, the prophecy is not a dps powerhouse like its more popular brother the harbinger, and puts out something roughly equivalent to a t1 cruiser worth of dps. Prophecies are very rarely used solo, although I'll entertain the notion for those cases where they are. Most prophecies will fit both a point and a web, and with a spare high slot a small or medium neut is likely. Range is fairly good on either variant, so you're usually better off just getting close and/or maximising your own dps (that said, you will see a significant drop in dps from an AC prophecy if you can engage outside 15km or so). As with the drake, the main danger is simply getting worn down before you can chew though the prophecy's very substantial tank and before backup can arrive. More commonly, you'll encounter a prophecy as part of a gang, flying as... you guessed it - bait. Be wary aggressing a solo prophecy unless you have intel in surrounding systems, and be even more wary if a solo prophecy aggresses you in a situation that seems stupid. Even if you have good intel, a cyno is a very real possibility, and prophecies are a fairly common choice for such a tactic. You should know how it goes by this point, but needless to say prophecies make a poor choice of primary in a gang fight. The prophecy's resists are strong across the board, but kinetic or explosive are usually lowest (as with the harbinger, explosive hardeners a possibility and the prophecy does receive a small racial explosive bonus). With no hardener explosive is only narrowly better, so kinetic is probably the best bet. The shield tanked myrm isent as popular as the armor rep myrm but I do see allot of them, they can (like the cyclone) fit a 3 slot shield tank which gives them alittle extra HP in compairison to shield brutixes and cains, while still able to use 6x 425mm autocannons with the lows for gyros and traking enhancers. I myself Rock the cyclone and kick other BCs butts all day, tho i comonly use 2x EM resist rigs and 1 thermal, as to remove the invul field for a shield boost amplifier, giving a very strong tank even with alittle less kin/exp resists. Great write up as always, I know you cant talk about it all. I have seen Feroxes used with autocannons, as usual for easier fitting and zero cap usage, allowing greater utilisation of the neut and MWD. Their damage potential and speed isn't as high as its Minmatar counterparts, but as you mentioned it can achieve a beefier buffer tank, making it a decent brawler. Also, it is possible to fit a Ferox with lasers. This necessitates a cap booster due to Caldari ships' tendency to have lackluster capacitors. One can either fit focused medium pulse lasers with a medium neut and cap booster, or, with difficulty, heavy pulses with a small neut and cap booster. The former fitting slides nicely over a standard ion blaster Ferox, with the cap booster taking the place of a web or second resist mod. The latter is extremely tight on powergrid and requires at least a reactor control unit, forcing you to drop a heat sink as well as downgrading the cap booster and neut as mentioned above. This results in marginally better DPS and range for a fairly large drop in utility. To Note on the Harby, the bonuses apply to ALL Lasers, not just medium ones so you do see them fit with small lasers for frig hunting. 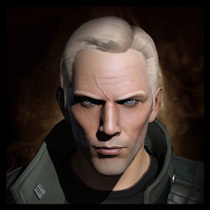 Ed you are mistaken, the bonus does NOT apply to all lasers, blame CCP for not fixing the text. Also, the Shield Harbinger significantly outdpses an AC Shield Cane beyond 13km or so and unlike the AC Cane, has the ability to deal real damage beyond normal point range (Heavy Pulses with 2 TEs = 29km optimal, 5km falloff or so). Also, don't forget the PODLA Drake! Almost certainly the best kiting BC for gangs, in front of the Pulse Harbinger then the Arty Cane (which are IMO tied second) and then the AC Cane. Out of curiosity, are you doing command ships next? Not just yet, I still need to finish off t2 cruisers. Command ships wll probably be after that. Regarding drakes, one thing you might want to point out is that in pairs, if they have remote shield reps, their tanks become absolutely legendary. During my time in 0.0, I've seen paired, remote-repping drakes actually hold off a 10-15 ship gang. They were actually winning until the gang's reinforcements (another dozen ships or so) showed up. I'd like to point out: T2 HAM Drakes with Javelins loaded range out at 30k w/ All level V's, not 20k. So there's no safety in pinging a HAM Drake from edge-of-point range and thinking it's not going to get you... A smart Drake pilot has Jav's ready to reload and with their tank they've got well more than 10 seconds to reload them into the bays. "...although their range is maximum range it limited to around 20km." Good write-ups though. Well done. Explosive is usually a good choice, as it is the natural lowest resist. However, explosive hardeners are common. On a fit with two EANMs and an explosive hardener, Kinetic and Thermal are the lowest resist, and will be the same (the Gallente racial bonus brings base kinetic and thermal armor resistances to 35%). Myrmidons with three hardeners (explosive, kinetic, and thermal) will be weakest to EM first, and explosive second. Myrmidons with hardeners against explosive and kinetic only are rare outside of missions. PODLA is Pod Liberation Authority, a well known PVP corp.
A PODLA drake is a popular kiting drake fit which was originally used by PODLA. It's basically a HML drake fit with dual nanos and dual webs. Heya Azual, read the post 2 weeks ago when it came out, came back for a reread and took a look at the comments. Not sure to what degree you may have rewrote the section on Drakes after the above Anon comment, but I'd just like to say for anyone reading this later that there's plenty of safety to be had in kiting a HAM Drake. To me "edge-of-point range" reads as greater than 20km. While Javelins may hit to 30km against a stationary target, anything kiting a Drake is unlikely to be stationary. Let's consider a thought experiment with our Kiter moving at 1666m/s (A Hurricane built for speed moves about this fast. I know plenty of Cane pilots that fit Snakes and would call anything less than 2km/s slow, but I'm trying to prove a point. Anything faster than this has nothing to worry about from Javelin Assault Missiles, anything slower needs to rethink calling itself a Kiter). When the missile is fired and the target is 20km away, it will take the missile traveling at 5km/s 4 seconds to get there. At 4 seconds, the target is now 6.664km away from its starting location. At 5 seconds, the missile is still 3.33km behind the target. At 6 seconds, the missile catches up with only meters left of its life. Except it doesn't. Because our thought experiment makes a few assumptions about how the game works. We assume that the missile left the launcher at full speed (which it didn't), we assume that the missile flew at where the target was going to be 6 seconds later instead of where the target was at any given tick (which it didn't) and that our Caldari pilot had level Vs in his missile speed and flight time skills (you can judge for yourself how likely you think this to be). I have the utmost faith in Azual's and Agony's real world (EVE world?) experience to back up the claim that you can kite a HAM Drake at the edge of point range. Anyone just looking at that 30km range in EFT would do well to remember there's more to PvP in EVE than the ships on paper. "While Javelins may hit to 30km against a stationary target, anything kiting a Drake is unlikely to be stationary." and showed his calculation to support that fact. He did however forget to include the calculation that the skill Target Navigation Prediction negates from his... with a 10% decrease per level of the target's factor in speed, even if it is not directly stackable. So effectively his speed of 1666m/s, at a pilot's level of 5 it's reduced to 833m/s. So thinking you're out of range and being out of range are two different things. Taking into account he did mention the fact that a Caldari pilot (like myself) is likely to have level 5's in Missile Projection and Missile Bombardment (like I do), a quick calculation based on just your speed alone plainly doesn't hold water. Especially based on the fact that a drake isn't going to be standing still either. A typical PvE Drake with MWD can fly around 900m/s, a nano fit PvP Drake more. I'm not saying he's wrong. I'm just saying never underestimate your opponent. Target Navigation Prediction only comes into play once the missiles is hit, and is used to determine damage. A ship moving faster than it may receive reduced damage (although if they're running an MWD to achieve that speed they will still take significant damage due to their increased sig radius). However, it doesn't have any bearing on whether the missile reaches the target or not. Which is why oviously if you're getting kited in a HAM drake you burn away from the kiter, not towards them - if they want to hold point they must approach you and thus give your missiles *more* effective range. nice guide azual, this blog has saved my ship countless times, although i strongly think that a know your enemy article on tech 3 cruisers would be nice, since they are great ships to fly and terrible ships to fight against. Do you plan to do one on their T2 counterparts, the command ships anytime soon? I plan to do every subcap eventually. I'm holding off on command ships because I've suspected for a while that they'd be getting quite a substantial rebalance (which has not been confirmed) - I'm planning to wait until after that before I write anything up for them.